For almost 20 years we have been developing and marketing secuTrial®. Working together with our clients, we have implemented countless suggestions and ideas into a range of practical functions. The result is an extremely powerful and extensive software suite for clinical trials. We are now looking ahead at the next 20 years and the many challenges resulting from the progressive development of technology. To ensure that our continually evolving software will effectively work in the decades to come, we inevitably need to enter into new territory. For several years now we have been discussing strategies for consolidating the source code of secuTrial®. In consultation with our management team, we have therefore decided to focus on systematically carrying out this consolidation in the coming release year 2018/2019. The development of new functions and the implementation of client requests will be postponed until the following release year. As well as creating a solid basis for future developments, we hope that these changes will help to simplify and streamline your daily work. Dr. Esther Schmidt (DKFZ) was picked as the winner of the prize draw for her report on participating in a TMF tutorial on the subject of data protection. The report was published in the tutorial description in the ToolPool health research portal. The second and third prizes went to Matthias Löbe for his report on the use of the ARX Data Anonymization Tool as part of his teaching work in Clinical Informatics at Leipzig University and Sandra Pasewald for her report on using MOSAIC products E-Pix, gICS and gPAS in the German National Cohort health study. Prof. Dr. Rainer Röhrig (University of Oldenburg and member of the Board of Directors of TMF) and Prof. Dr. Ulrich Sax (University Medical Center Göttingen and spokesman of the TMF working group for IT infrastructure and quality management) picked the winners during a workshop presenting the health research of ToolPool on the occasion of the 62nd anniversary of the GMDS (German Association for Medical Informatics, Biometry and Epidemiology in Oldenburg). They were assisted by the independent prize draw helper Anna Dirks (a student of the University of Oldenburg and a member of the GMDS 2017 conference team). The portal offers support with planning and setting up complex IT infrastructures in medical research. The aim of the competition was to encourage interaction and the exchange of experiences between the users of various tools and services. As an incentive, an Apple iPad, a Garmin smart watch and a Samsonite laptop rucksack were offered as prizes. 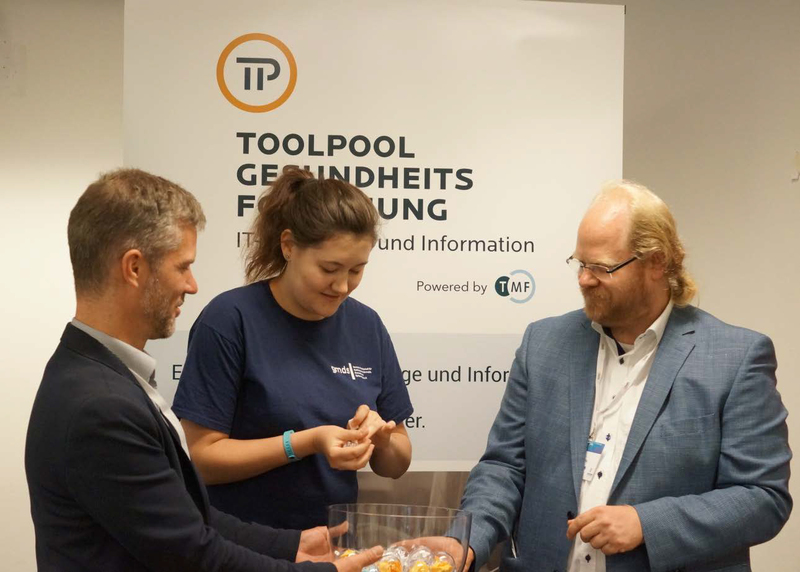 The first prize was provided by secuTrial®, the other two prizes were supplied by Kairos and Clinical Guideline Services, whose products are also listed on ToolPool. The ToolPool health research portal provides information on topics such as research data management, data protection, registries and cohorts, and mobile IT tools for medical research. It also brings together IT tools and services developed within the TMF or by other academic institutions and commercial providers. The content of the portal is based on the IT report of the TMF, which has been published annually since 2013. The products are selected based on a catalogue of criteria devised by the TMF working group for IT infrastructure and quality management. Furthermore, the working group is responsible for checking that everything is up to date and for the strategic further development of the portal. The portal was developed by the TMF with the involvement of the users and is operated by the TMF. Theoretically everyone in Germany should have health insurance. In reality, however, a remarkably large number of Germans do not have health insurance and for many this has been the case for years. The reasons for this situation are as diverse as people’s individual stories. According to official statistics, approximately 80,000 men, women and children are currently living without health insurance in Germany, and estimates put this figure far higher. Furthermore, certain groups of people who are technically insured – for example many homeless people – often have difficulty accessing the healthcare system. Many of these people are chronically ill, have not been to a dentist in years or are suffering from mental problems. For over a decade now, Ärzte der Welt e.V. (the German member organisation of Doctors of the World) has therefore been offering free medical care and consultations to people in Germany with limited or no access to the healthcare system. It is not only German citizens who benefit from this initiative. The service is available to everyone, regardless of their residency status or country of origin. On request, the service can be used anonymously. Right from the start of the open.med project, Ärzte der Welt has attached great importance to patient documentation and to collecting both medical and social data. This data is extremely important in order to provide patients with appropriate treatment and also to supply political decision makers with reliable statistics. Since 2014, Ärzte der Welt has been using a local database which serves as an electronic patient file. A team of volunteers set up the system and helped to maintain the database. Due to the growing requirements placed on the system resulting from mobile and inpatient care and multiple locations, the database began to reach its limits. 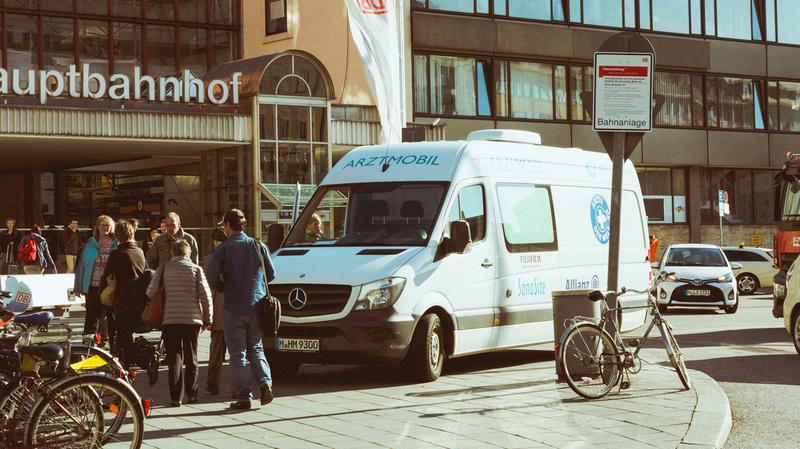 After searching for a simple and stable centralised administrative solution, Ärzte der Welt found two partners willing to offer support: the clinical research organisation GKM and us. Since July this year, the patient file has been made available via secuTrial®. We are pleased to be able to support this social cause by providing and maintaining the new database system. Volunteer doctors and medical assistants can now access their patients’ data more quickly and easily from wherever they are working. By migrating to our professional system, the security of patient data has also been improved. 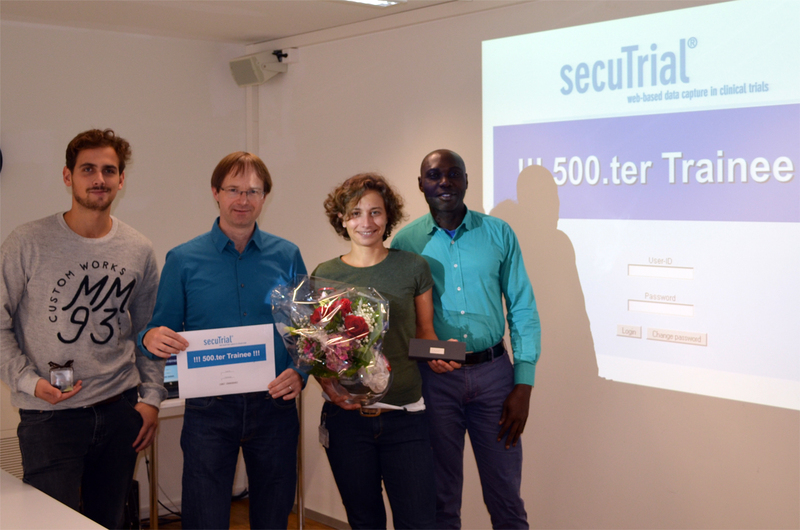 In September 2017 the 500th secuTrial® trainee completed their training at the Clinical Trials Center of the University Hospital Zurich. This was a very special milestone which we commemorated with a small gift. The training modules offered by the CTC focus on creating eCRFs, data entry and validation, and data export. Each training session takes between 1.5 and 2 hours and an official training record is issued for the trial management file. Since 2010, a total of 390 training sessions have been organised with 1 to 5 participants. Having worked with secuTrial® for many years, the CTC team at the University Hospital in Zurich have contributed to many of our innovations and further developments with their numerous ideas and suggestions. At our annual user meetings they have presented many interesting topics and are always very welcome as speakers. We would like to express our special thanks to Dipl.-Ing. Dirk Smolinski and his team for their fantastic cooperation over the years and for kindly providing the photograph. We wish all of the participants the best of success for their work with secuTrial®. New functions are verified by independent testers within the framework of our qualified change management system. The system requirements are checked (quality test) according to a specification (detailed concept, test specification) and any errors or defects are identified at an early stage (maturity management). All positive results produced during testing must be documented with a screenshot and a short description. Any errors must be logged in the bug tracking tool Mantis so they can be subsequently corrected and tested again. The framework conditions and end results are documented, signed by the testers and sent to the product manager.